Canary Systems is a systems integration, peripheral hardware manufacturer and software development company working in many fields, including Civil Engineering, Dam Monitoring, Mining, and Structural applications. We provide system design services and offer off-the-shelf and custom software solutions to meet the project requirements. Our system configuration and management software MultiLogger offers a single integrated platform capable of digesting all data produced by a wide range of monitoring systems, and is now in use at over 500 projects worldwide; it offers automated program generation for Campbell Scientific MCU's, an integrated network management interface and automated SQL database management of data. Our latest product, MLWeb, extends the functionality of our SQL database system with a web interface that requires no custom programming. Visit our website for additional information including product descriptions, support documents, and project profiles. We look forward to hearing from you with your project requirements! 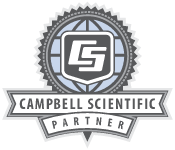 Canary Systems is a Campbell Scientific value-added reseller.